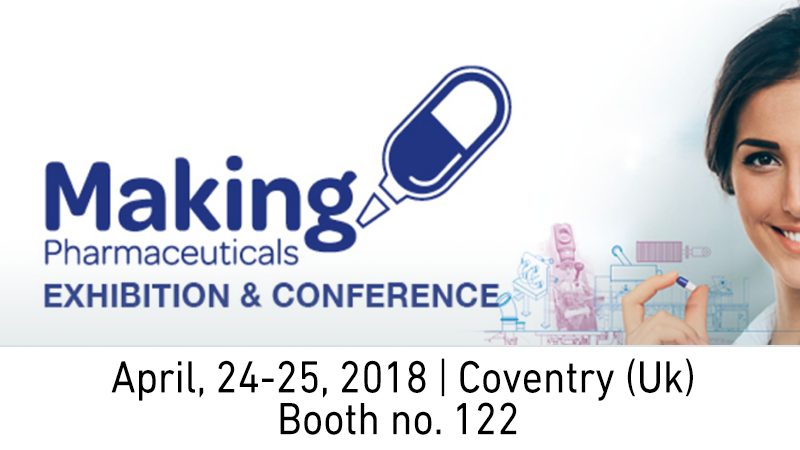 Comecer will be present at Making Pharma UK, taking place at the Ricoh Arena in Coventry. You will find us exhibiting at stand #122. Our product portfolio is constantly updated and, besides a multitude of standard applications, we often develop specialised custom solutions for pharmaceutical companies worldwide. Flexycult, our Incubation System for Advanced Therapy Labs. The use of isolation technology in primary pharmaceutical production, for example with the MDWI, our Modular Dispensing and Weighing Isolator. It will be a good occasion to meet and discuss your isolation technology needs, so we look forward to seeing you at our stand and chat with Giacomo Nicolini.